Eva Montgomery is at the peak of her career when she is viciously attacked by a stalker. While still traumatised by the event she makes the biggest mistake of her life – one she can never turn back from. Sixteen years later, Eva has managed to rebuild her life in a way that seemed impossible after the attack. Her home in Dorset, high on the cliffs overlooking the sea, is as elegant as Eva herself, but bears none of the scars. The love she shares with her husband, Don, has become the very mainstay of her existence. Her beloved sister, Patty, lives nearby. To an outsider, Eva’s world seems perfect in every way. However, behind the facade there is more tragedy and deceit than even she is aware of. Where does No Turning Back rank among all the audiobooks you’ve listened to so far? Predictable and drawn out story line. No. The story line was extremely predictable and I felt like it dragged on and on... and on and on... It was also very redundant. 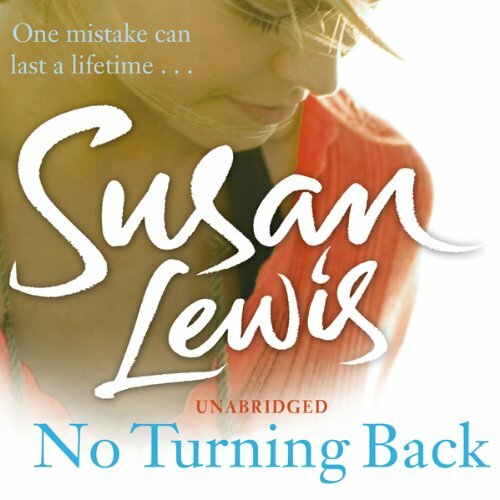 Would you ever listen to anything by Susan Lewis again? The narration was great. The narrator was the best part. She had unique voices for all the main characters and did a great job. Was No Turning Back worth the listening time? I did not want this book to finish - many twists and turns - this is my third book by this author and must certainly wont be the last. This story is not at all what I was expecting having read the blurb. If I had had an accurate idea of the plot I would not have bought this book. It's not bad, just not good. I must admit I got bored and skipped a lot just to get to the end and see if that would inspire me to go back but, sadly, not the case. Based on other reviews I bought two books by this author in one go. I have not listened to the other because this one did not inspire me. That said, I found the narrator good. She did not grate on the nerves with high-pitched delivery like Jilly Bond, so that is a positive.